Discount available! 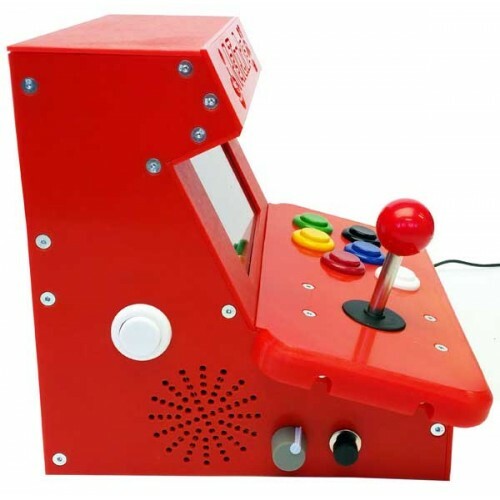 Recommend Mini Arcade Video Game with Monitor - kit to your friends and get your Discount. 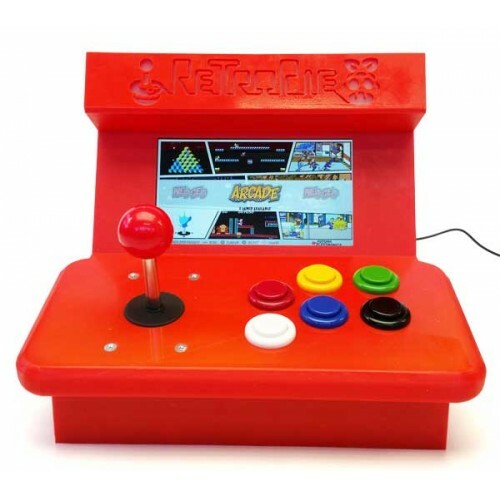 Original kit to assemble that allows you to make a mini arcade video game cabinet - for a player - such as those found in the '80s and' 90s, in bars and games rooms. 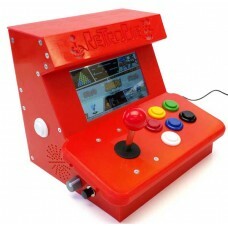 Complete with 7 inch color monitor, the system is based on Raspberry Pi 3 and uses the latest version of the RetroPie distribution, derived from Debian Jessie, with which you can emulate various types of consoles, including Nintendo, Game Boy, MAME, Sega Master System, Amiga, Commodore, etc. Thanks to its small size (250x250x250 mm) it is possible to use it anywhere. 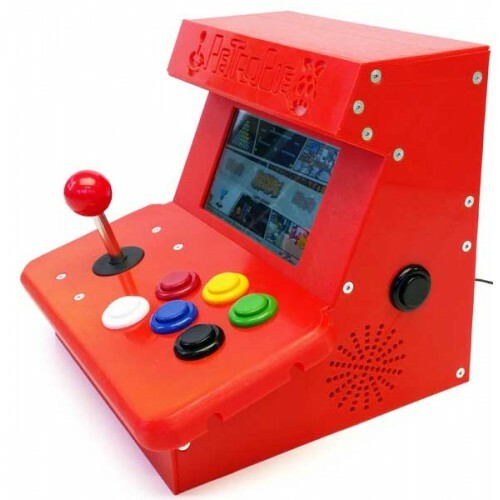 The kit includes: Raspberry Pi 3, Shield Retropie, the 7 "color monitor, the 8 GB micro SD Card with the already installed RetroPie system, two speakers, eight arcade buttons, a joystick, a power adapter and all the necessary parts to complete and immediately use the Arcade videogames station. Warning! 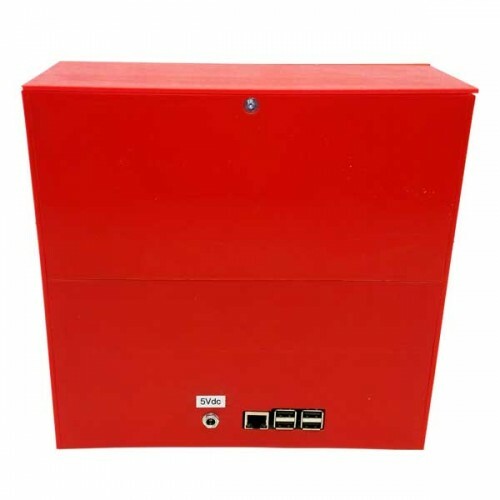 the mini cabinet made with 3D printer is available separately (see related products). N.B. to allow the shield retropie (FT1199K) to function correctly, the RetroPie distrubution has been modified.